Whether you are just starting out, trying to become more comfortable on ramps, or are working on your backside-flips… our instructors are here for you. 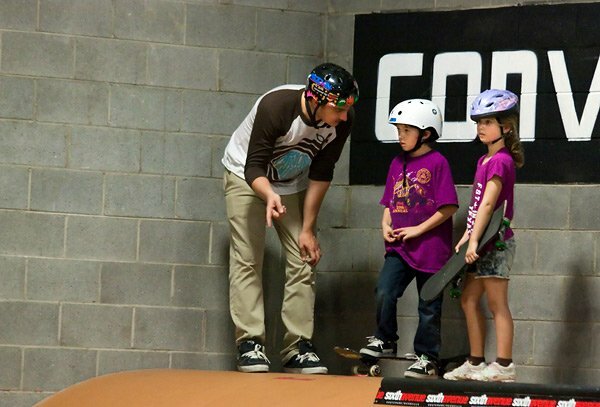 We offer private and group lessons for all levels of skateboarders. Transitions, boxes, manual pads, rails, and even flat ground… we can help you learn something new! Free helmet rental & 2 extra hours free skate! Free helmet rental & skate remainder of lesson day free! To sign up for a lesson simply call or visit the shop (1) day prior to your desired lesson time to ensure your spot.